This is a light and comfortable necklace that is the ultimate complement to an elegant ensemble. The three matte gold color plated stones seamlessly move with your body for a light and delicate look. Matte gold color plating makes this light and comfortable necklace shine in the summer sun and sparkle under city lights. This is the ultimate complement to any elegant outfit. 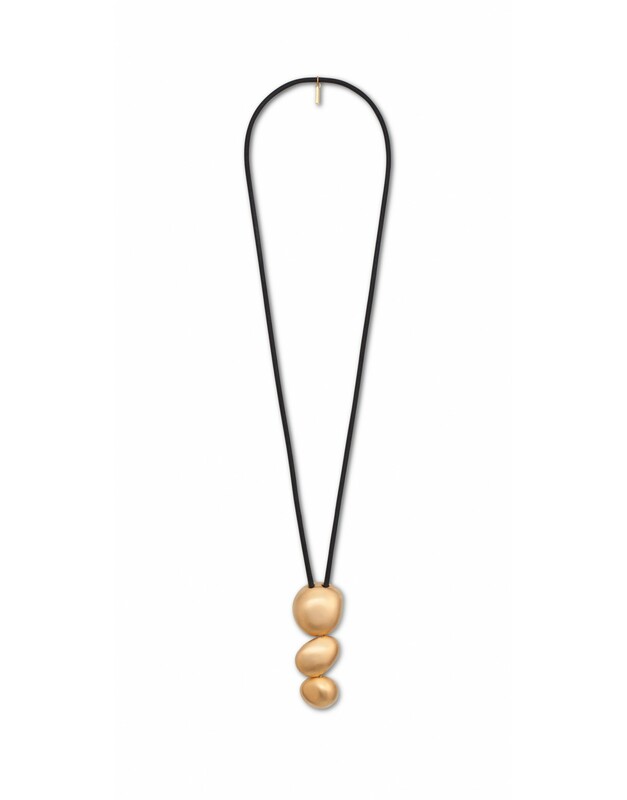 You'll love the way this necklace flows with your body, effortlessly matching your every movement. The three half-stones are seamlessly attached to the black cotton cord and curved at the back to make them lighter and more comfortable to wear.